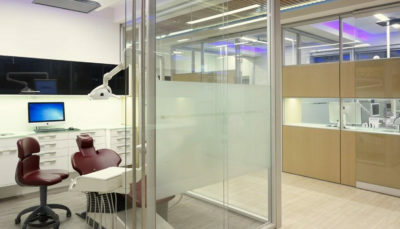 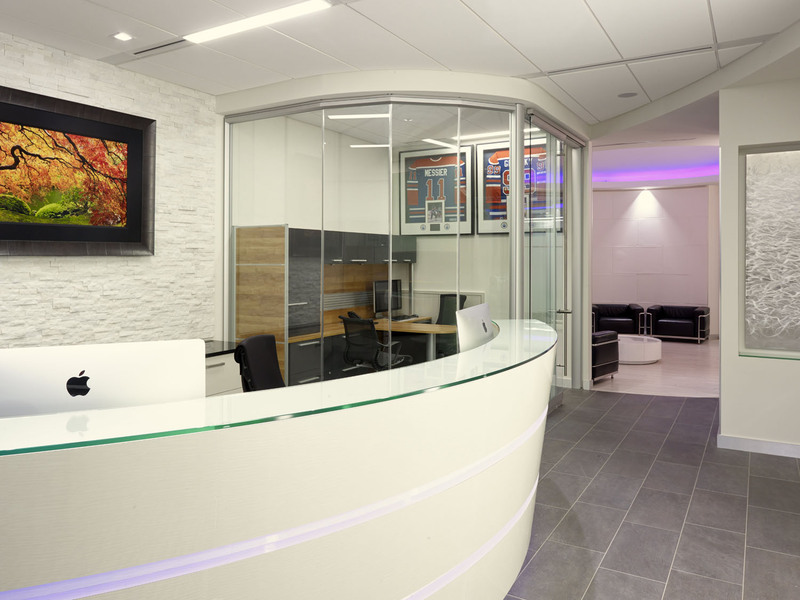 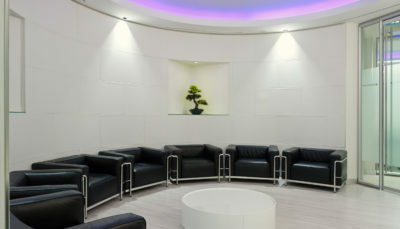 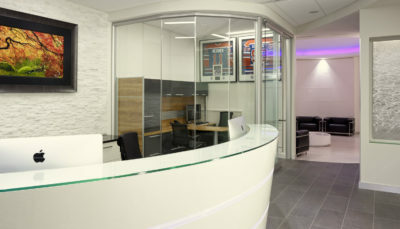 Dental Gallery, Dr. Sekhon : Wolski Design Group Ltd. 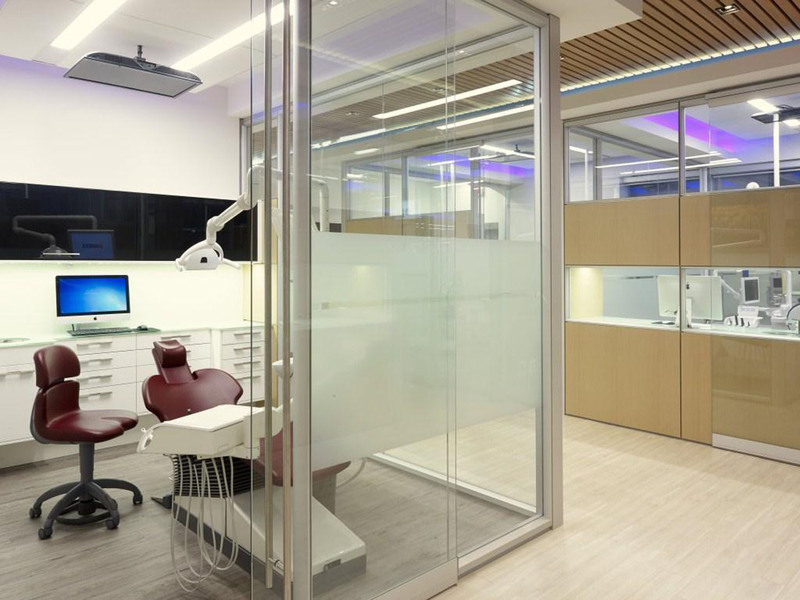 This state-of-the-art dental clinic is equipped with the latest in controls technology. 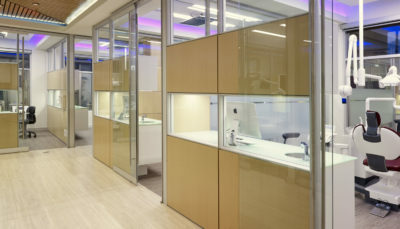 With the touch of an iPad, staff can manage all technical aspects of the clinic, including lights, HVAC, window coverings, music, cameras and the security system. 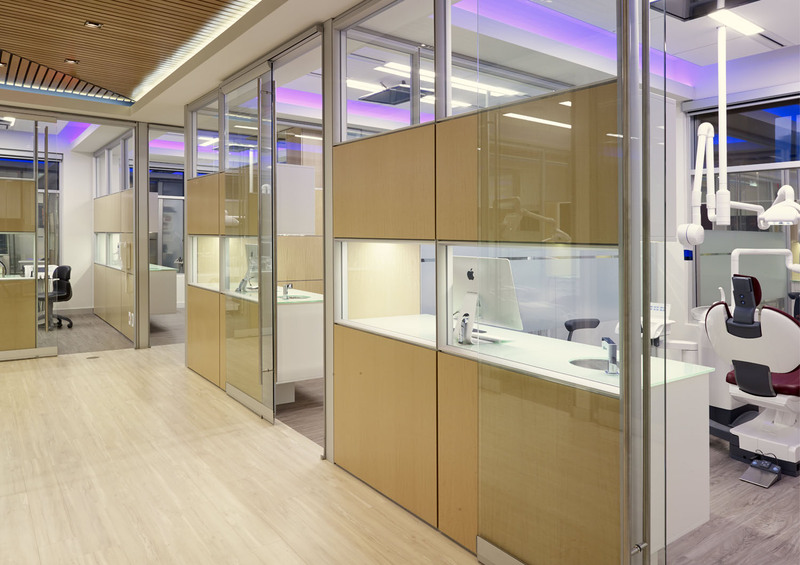 Wide corridors establish a spacious travel path for all patients and ensure wheelchair accessibility to any room. 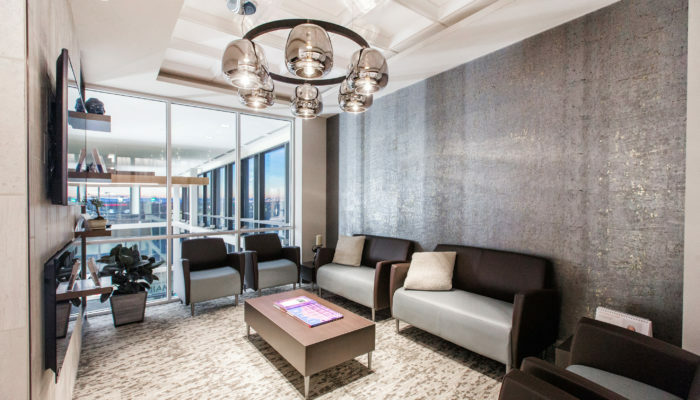 Suites are larger than typical, accommodating wheelchairs and caregivers when necessary. 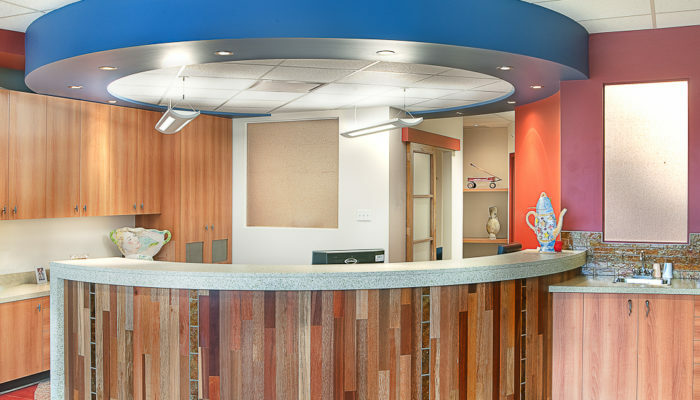 Natural light is a focus in all patient areas. 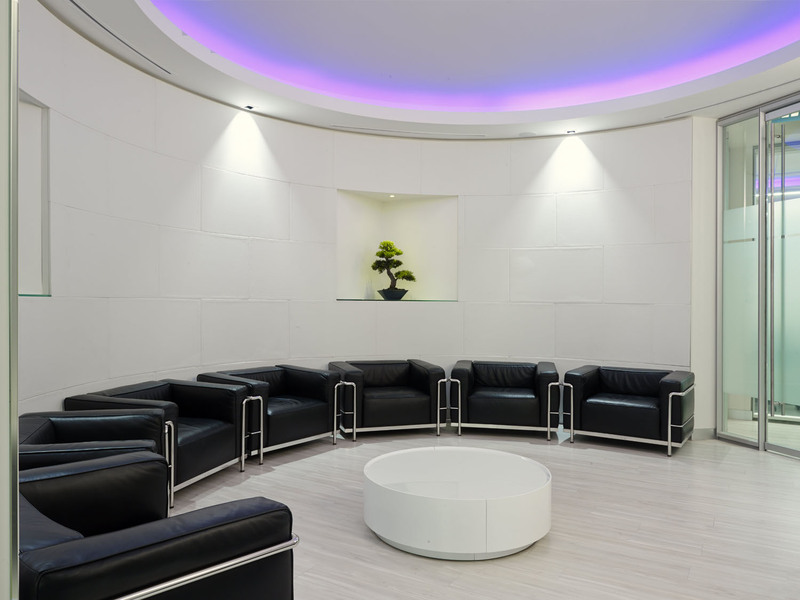 LED lighting is interspersed throughout the clinic, with a special emphasis on foot candles to reduce staff’s eye fatigue. 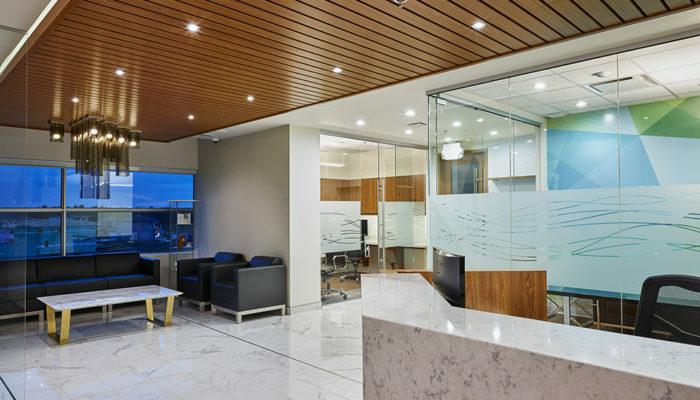 Colour changing LED cove lighting adds visual interest to the ceilings—definitely eye-catching to people driving by after dusk. 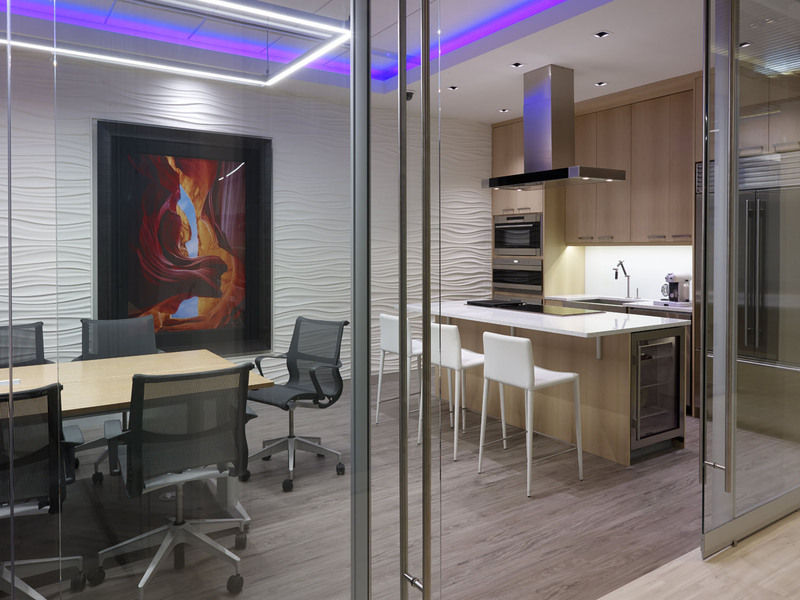 Colour changing LED cove lighting adds visual interest to the ceilings—definitely eye-catching to people driving by after dusk.